Jarkko Laine has put up a short-but-sweet interview with Kloonigames’ Petri Purho. Petri is the developer behind numerous great indie games, including Crayon Physics and A Tribute to the Rolling Boulder. 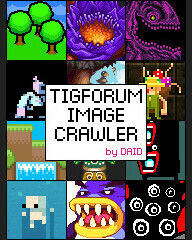 Recently he contributed the hilarious SM Word to the TIGSource B-Games Competition. How dare you insult tha mighty gob J.Blow!